We track millions of social media posts and use machine learning to determine sentiment of cryptocurrencies. 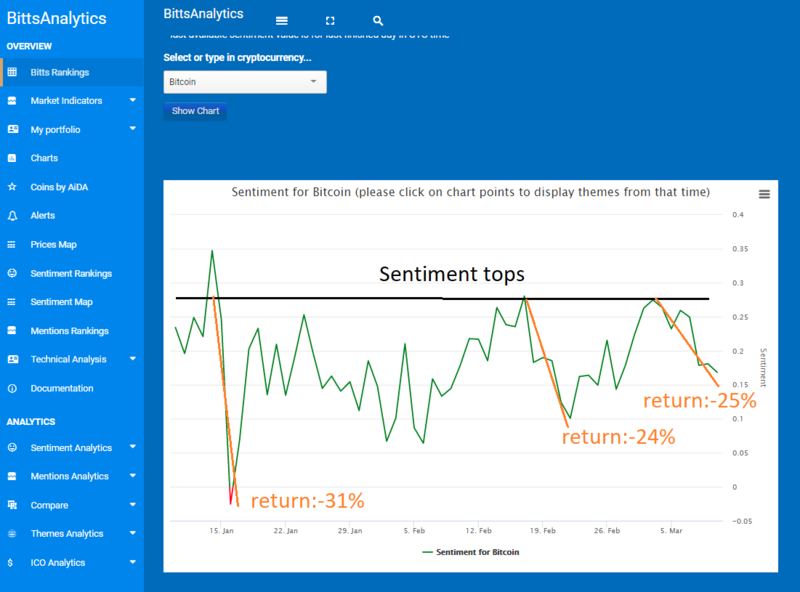 Bitcoin sentiment has been quite useful recently for Bitcoin price direction. See e.g. the recent sentiment development below. In a similar way as already happened about a month ago (see post below) after sentiment reached the levels from January 14th it again fell substantially.